Robert L. Long, III, Ed.D. has been an educator for 17 years. He is the principal at Deloras E. Thompson Elementary School in the Spring Independent School District (Houston, TX). He is a native Texan, and attended public schools for most of his life in Texas. His previous positions include Campus Principal, Assistant Principal for Curriculum and Instruction, Secondary Assistant Principal, Instructional Alignment Director, Curriculum Coach, and Behavioral Specialist. Dr. Long also serves as an Adjunct Professor of Epistemology and Qualitative Research Methods in the College of Education at the University of Houston. 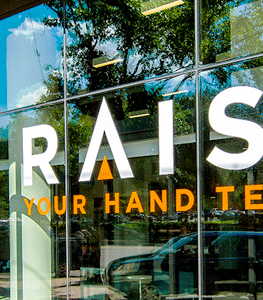 Dr. Long has served as the North Houston Regional Director for Raise Your Hand Texas since 2016. In this role he works alongside Dr. Cheryl Henry to strengthen the networks and communication with other Houston area principals regarding legislative issues related to education and also shares best practices related to being in the service of students, while improving academic outcomes for all Texas students. Dr. Long received his Bachelors of Science in Elementary Education from Stephen F. Austin State University, his Master’s in Education Leadership and Administration from Sam Houston State University, and his Doctorate in Educational Leadership from Texas A&M University. He also is a trained facilitator for the Center of Educational Leadership. He is a 2014 and 2016 Raise Your Hand Texas Alumnus of The Principals’ Center at the Harvard School of Education.